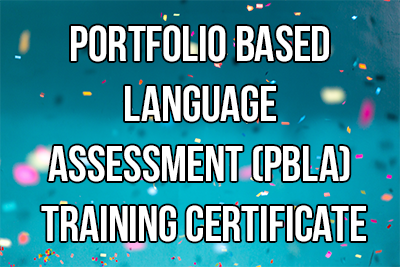 This 20-hour online course provides a solid foundation in Portfolio Based Language Assessment (PBLA). The course is designed for English language teachers looking for PBLA training in order to demonstrate knowledge and understanding of PBLA. The course is fully conducted online, has any time starts dates, and allows participants to go at their own pace.